Following a successful 2016, GRC Motorsport spearheaded by Greg Campbell entered the new season in search of further championship success. Campaigning a super reliable Rotax 900ccTurbo powered stock Can Am Maverick X3 #651 that was built in house, Campbell and crew had eyes set firmly on the CAMS Australian Off Road Championship and New South Wales Superlite Championship double. Backed by years of off road racing experience, and as the manager of the GRC Motorsport preparation workshop, Greg set sail for his opening event, the ARB Town and Country Tyres Stackpoole 400 in early March. 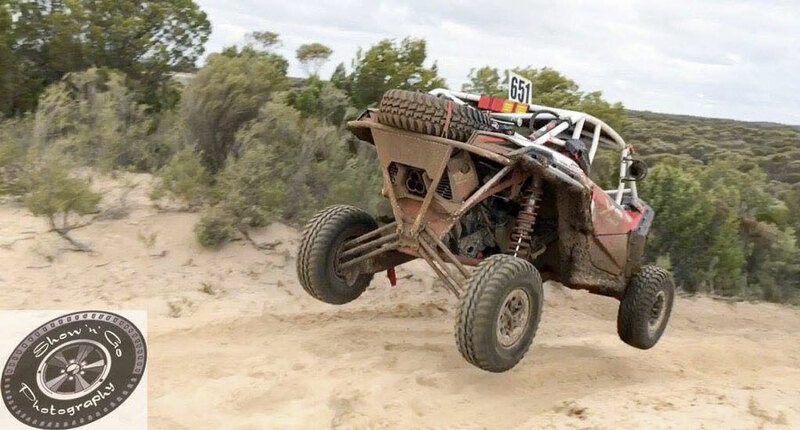 The signs were positive early for the Can Am, as Campbell pushed the #651 into second place for the Superlite B’s at the completion of 400 gruelling Stackpoole kilometres. 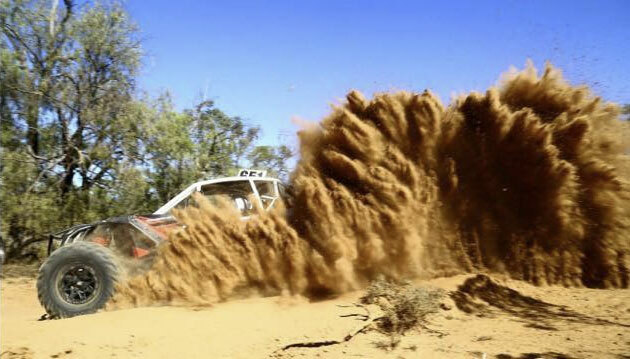 GRC’s Australian championship campaign got underway at the inaugural St George 399 in May; extremely dusty conditions to be the crews only challenge at the Queensland event, finishing fourth in class. 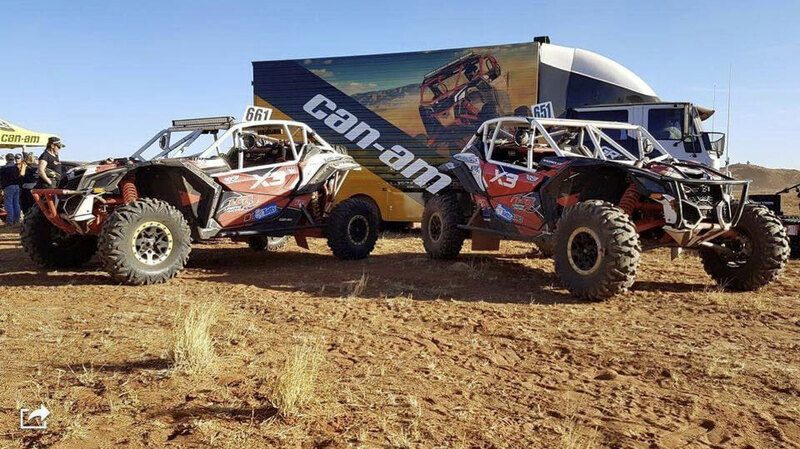 After a short turnaround, teams converged on Alice Springs for the Tatts Finke Desert Race held over the June long weekend for round 2 of the CAMS Australian Off Road Championship, and the Can Ams were out in force. The camaraderie amongst the Can Am teams was extraordinary. Arriving into Finke with the yellow flags flying, marquees set up and catering on queue, allowed Greg and navigator wife Allison to concentrate on their on-track performance. In a spirited display of consistency, only 18 seconds separated the two 220km legs across one of Australia’s greatest deserts – a massive thanks must go to Ross McNab from Desert Speed Lab who dialled in the #651 making the ride a lot more enjoyable. 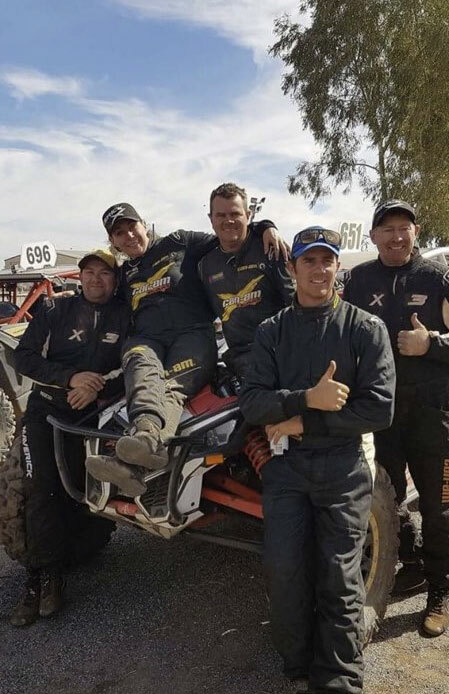 GRC Motorsport completed their Finke adventure third in the Superlite B class; a tremendous effort considering there were over 30 competitors, in an event where the durability, reliability and toughness of the Can Am Maverick shone bright. Attentions quickly turned to Milbrodale where GRC’s New South Wales title assault got underway. 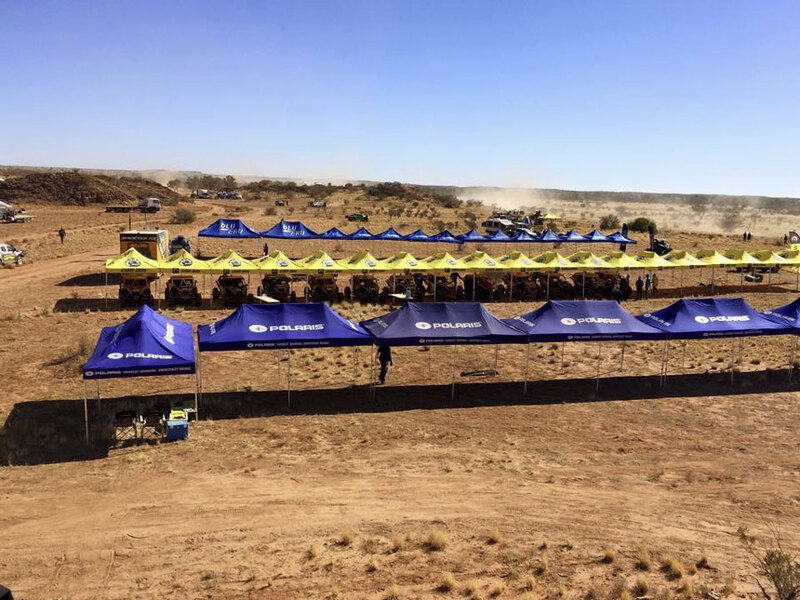 Under perfect blue skies, a trouble free run saw the #651 cross the line eighth outright and first in class – another 250 race kilometres down and the Can Am continued to deliver. 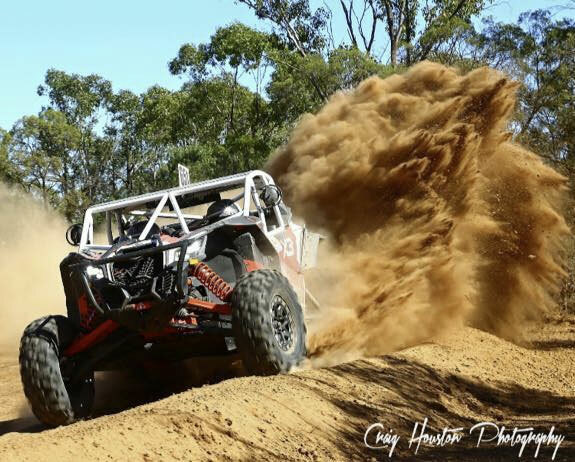 GRC Motorsport commenced preparations for the Rainbow Desert Enduro following their solid Milbrodale result; the final round of the CAMS Australian Off Road Championship to be held in North West Victoria in early August. 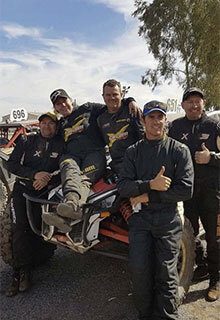 In another stirring performance by Campbell and navigator Joshua Bennett, seven laps of the 75km loop were completed in a race of attrition; the Can Am excelled in the muddy conditions as Campbell crossed in a tad under 7hours. Starting day two in 11th position, Campbell maintained his incredibly consistent 2017 to date, crossing second in the Superlite B class and eighth outright behind Jeff McNiven, whose assistance in the pits over the weekend was appreciated. A terrific weekend for the team was wrapped up by claiming the CAMS Australian Off Road Championship Superlite Turbo Class title, and fourth outright in the Championship – a major highlight moment for GRC Motorsport in 2017. With the #651 Can Am Maverick already a winner on the national stage, Greg shifted his focus to the New South Wales circuit where the momentum carried on. A dominant class victory and fourth outright at the Kempsey 250 was closely followed by a second in class at the hotly contested Warialda 200 in September. An astonishing clean season for GRC Motorsport and his Can Am came to a close at Nabiac at the season finale. In the wake of another podium finish, the teams eight of the season, Campbell was ensured of his NSW Superlite B Championship defence, and in doing so, a rare double had been achieved by one very satisfied GRC Motorsport. GRC Motorsport alongside their own fruitful campaign, have had some outstanding success with their Can Am builds done in-house. A good friend, Nathan Chivers #676, finished second in the AORC Superlite B battle behind Campbell, and first at Finke in a GRC Motorsport Maverick build. 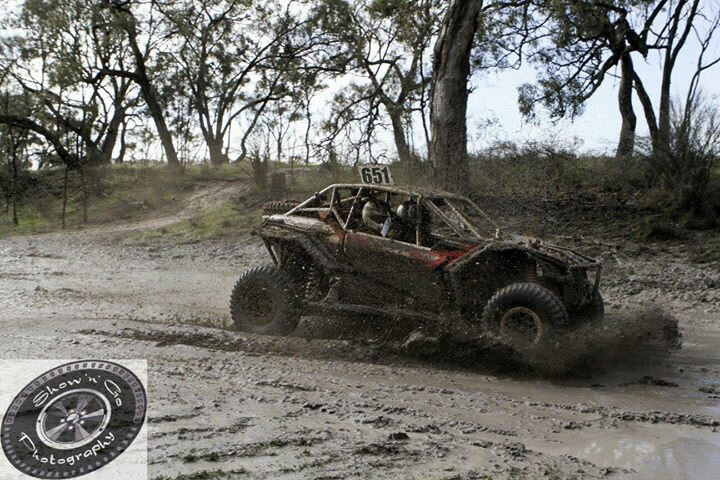 Whereas a further build went to Victorian competitor Scott Tymkin, who won his class in the ARB Australian Off Road Racing Series for 2017. CRC Motorsport has also seen success with their involvement with Bruce and Bryce Chapman’s #58 Jimco, Runamuk Racing. A second at the St George 399 and back to back outright victories at Warialda and Nabiac capped off a remarkable season for GRC Motorsport. A new competitor to the sport Jay Neate came home second outright in only his second off road race; an amazing achievement. GRC Motorsport’s successful 2017 could not have been possible without the support of Can Am Australia, BRP and Racewheels Australia – their commitment and passion to aid the development of the Superlite machines is second to none. 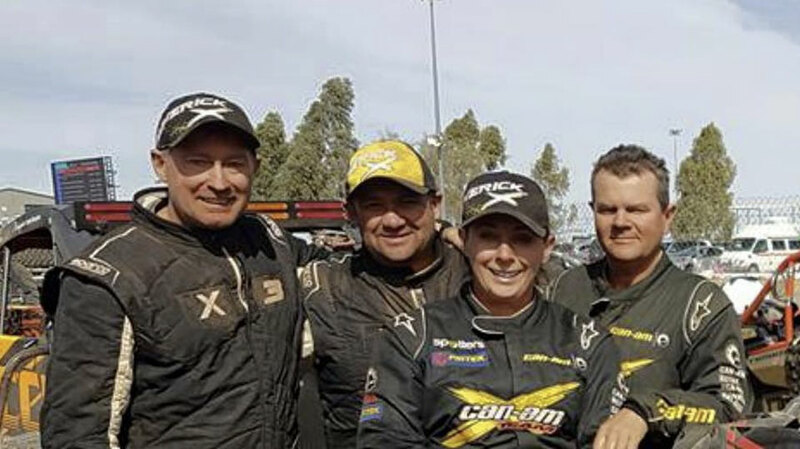 In a long season, Greg used seven separate navigators, including wife Ally at Finke and Ronnie “Roll Over” Wright, a former navigator some 25 years ago as well as introducing some new navigators to the sport. A thank you must also go to Laurence Cripps, Werner Zettl and all GRC helpers, as well as a massive thanks must go to Josh Bennett, who not only went along on most race weekends; he was instrumental in his helping efforts preparing the Can Am. As 2017 draws to a close, GRC Motorsport would like to wish all their customers and supporters a happy, healthy prosperous New Year, see you all on track!